Stan went on to be in charge of us for six years and Cotterill left around four months after he'd reached three years, but by the time the anniversary came around he was less than Mr Popular with us just having ended a season featuring 18 league games without a win. Owen Coyle went past two years before doing a runner, Brian Laws didn't last a year and Eddie Howe ran for home after just 21 months. But here we are, three years after the appointment of Dyche as Howe's successor. He's still with us and I think it is fair to say his stock is still high. I suppose, coming up to an anniversary as a Burnley manager, you couldn't time it better than going to Ewood Park and coming home with the points. It's difficult to believe now but when he walked into the club there were a lot of supporters not, shall we say, delighted with the choice. Some were, and I myself used the word, underwhelmed, others called it a cheap appointment given he was out of work, and some believed he would destroy the supposed attractive football that Howe had us playing. By the time he reached his first anniversary I don't think there were many doubters. It hadn't all been plain sailing, that's for sure. After a decent enough start came a dreadful period of games in the spring of 2013. Four midweek home games in succession weren't disappointing, they were dire, and in what was a crazy season we found ourselves scrapping for points to stay up even when we were well past the 50 total that Stan Ternent used to reckon was where we needed to get to crack on. With little money to spend during that summer, in fact no money at all, he reshaped the team. David Jones and Scott Arfield came in to the midfield alongside loan signing Michael Kightly and up front, out of sheer necessity because they were our only two strikers, he paired Sam Vokes and Danny Ings. On 30th October 2013 we were top of the league and, despite having been knocked out of the Capital One Cup by Premier League West Ham the night before, we were on a run of seven consecutive league wins and had ended QPR's unbeaten run with a sensational performance in the last game. We had an incredible record of 32 points from the first 13 games. It took us a while to get a first win for him in his second year. That run of wins ended and we drew four and lost one of the next five before Michael Kightly got his first Burnley goal to ensure a 1-0 win against Barnsley. That was the longest run without a win by some distance all season and we, along with Leicester, coasted to promotion by the end of that 2013/14 season. One game will always stand out. 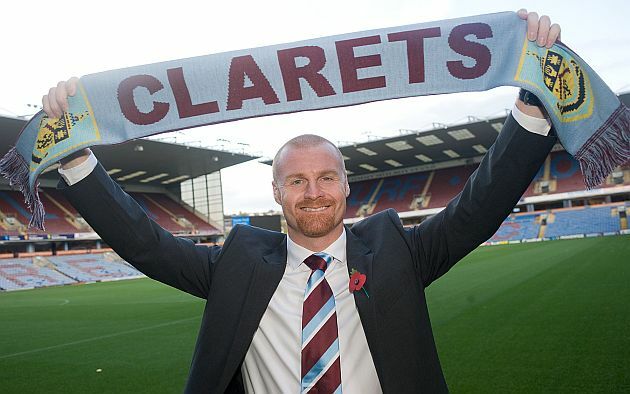 it came on 9th March 2014 when Sean Dyche became the first manager since Harry Potts to record a win against our fiercest rivals at Blackburn. After the game he said he'd told the players at half time that it was not a problem being one down, that they were on the cusp of creating history. It was certainly a problem for me, and I presume the other 4,500 or so in the Darwen End, but that unforgettable day ended with Jason Shackell, scoring his last Burnley goal, and Danny Ings finally ending that horrible run against them. Unfortunately, by the time of his second anniversary, we were just about to lose 3-0 at Arsenal on the following weekend that would see us bottom of the Premier League with only four points from ten games. We'd had a difficult transfer window in the summer when we failed to land our main targets and relegation was already looking a certainty as the man in charge went into his third year. Was Dyche still popular? I think I can say the answer to that was a resounding yes with only an occasional dissenter via the message board, one in particular who would appear after most poor defeats. But I prefer to recall the words of regular poster dushanbe a year ago. 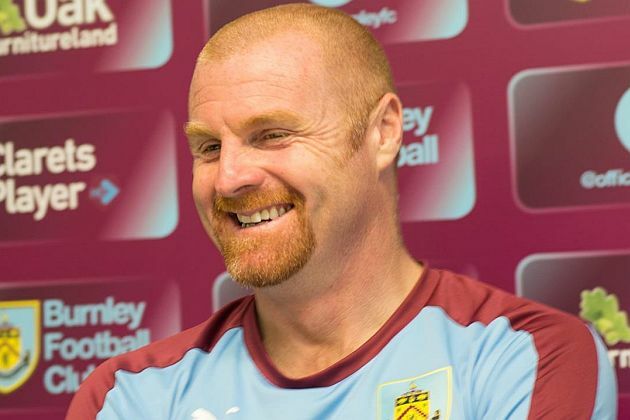 He said: "I can't speak for anyone else but, after last season, Dyche has got as much time as he wants in the Burnley job, regardless of results in the short or even medium term. Essentially, the guy can drink for free from here on in as far as I am concerned." After that defeat at Arsenal, which came two days after his second anniversary, we finally won our first game of the season. Ashley Barnes was given his chance and he scored the only goal as we beat Hull 1-0 at home. A week later we were celebrating at the Britannia after two early Danny Ings goals led us to a victory against Stoke. Ultimately, we weren't good enough to stay up. If the summer transfer window had been disappointing then the January window was a disaster with Michael Keane's loan being made permanent the only business. And that cost us when Dean Marney suffered a serious injury at the start of February, we had no one to bring in. By then we'd started to recover. We'd won a couple more and had two wonderful days out at Man City and Newcastle when we turned in stunning performances to come back and earn draws. Immediately after the Marney injury we went to Old Trafford and played Man United off the park but gave soft goals away and lost. A few days later we upset Jose Mourinho. But we stopped scoring goals and if you don't score you can't win and eventually we were relegated with two games still to play, although at least we did end the season with an unbeaten run of three games in which we didn't concede a goal. Dyche had to contend with the departures of Ings, Kieran Tripper and Shackell in the summer which meant a lot of transfer business. Jelle Vossen came and went but we've made some good signings and, after a difficult start to the season in terms of only picking up two points from the first three games, things are going along quite nicely and we've moved up to third place with 25 points. And so to the third anniversary. I took a look at our playing record since we appointed Dyche and in particular I looked at our record in the Championship where we have now played a total of 92 games under his management, exactly two seasons of games. Those games have brought us an incredible 162 points, an average of 81 per season. I always remember Ternent being asked, during a difficult period, when we'd be a good side. "When we start winning away games," he said. In Championship games we've won 19, drawn 17 and lost just 10 under Dyche's management. Win number 19 came six days ago when Arfield, one of the summer 2013 signings scored the only goal of the game to lift the Darwen End, just as Shackell and Ings had done over 19 months earlier. I can't think of a more fitting way for a Burnley manager to end his third year in charge than to bring us home three points from that game. Neither can I remember seeing Sean Dyche previously with such a big grin on his face after a game; it almost stretched the full width of that Darwen End as he came over to applaud the fans at the end. Three years is a long time these days for a manager to be in a job. Only 12 Premier and Football League clubs have currently had their managers longer and he's the fifth longest serving in the top two divisions behind Arsène Wenger, Karl Robinson, Steve Bruce and Howe. In 48 days time he'll become our longest serving manager since Stan, that is unless he has relatives to visit in Scotland. I do worry every time a job vacancy appears. I'm not too concerned about York right now but I will be relieved once Villa have appointed Remi Garde, just as I was when Sam Allardyce appeared wearing his new Sunderland tie recently. I'm with dushanbe, he can stay as long as he likes and I, for one, will be delighted if I'm reporting on his fourth anniversary in a year's time. This was one appointment we got absolutely right.